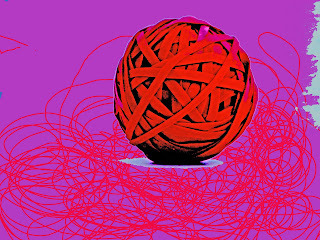 Janet Kershaw: Playing with Photoshop or "The Ice Hand Cometh"
Playing with Photoshop or "The Ice Hand Cometh"
Started photographing wool, and this rubber band ball is a variation on this theme. It looks more like the image of the huge ball of wool in the sky in the "Dangerous Knitting" story. 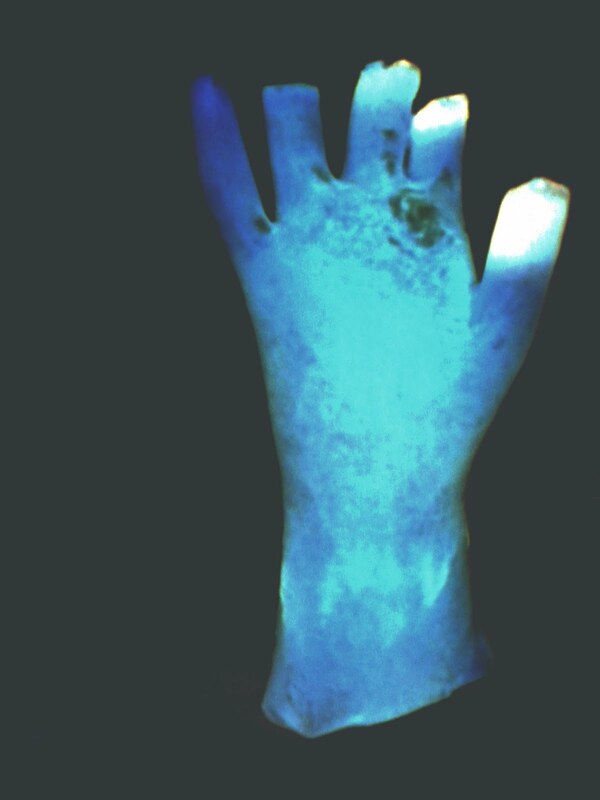 I made a hand out of ice by suspending a rubber glove filled with water and soy sauce in a freezer. Then it was photographed and put into Photoshop, where it was manipulated digitally to look arctic and moonlit, and also frostbitten. It was in response to an editorial article on "What does it feel like ...", and this particular story was about getting frostbite amidst a beautiful moonlit icy arctic landscape, and subsequently sawing off the frostbitten parts back at home in the garden shed.